The Danger Assessment for Law Enforcement is a collaboration between the foremost researchers in the field and Jeanne Geiger Crisis Center. Jeanne Geiger Crisis Center partnered with two leading researchers in the field of intimate partner homicide, Dr. Jacquelyn C. Campbell, PhD, RN, FAAN of Johns Hopkins University School of Nursing and Dr. Jill Theresa Messing, MSW, PhD of Arizona State University School of Social Work. Jeanne Geiger Crisis Center is a nationally recognized leader in the fight to end domestic violence homicides. Motivated by the homicide of one of our clients over a decade ago, the center provides training and technical assistance to other communities committed to preventing domestic violence homicides across the country. Jeanne Geiger Crisis Center developed and delivers a proprietary curriculum to teach criminal justice professionals, prosecutors, and victim advocates how to administer risk assessments like the DA-LE, how to start a Domestic Violence High Risk Team and how to improve their response to high-risk domestic violence cases. 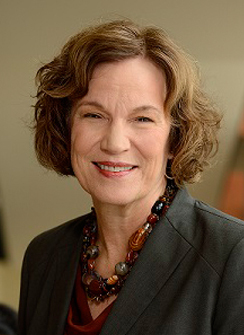 Jacquelyn Campbell is a national leader in research and advocacy in the field of domestic violence or intimate partner violence (IPV). She has authored or co-authored more than 230 publications and seven books on violence and health outcomes. Her studies paved the way for a growing body of interdisciplinary investigations by researchers in the disciplines of nursing, medicine, and public health. Jill Messing, MSW, PhD, is an Associate Professor in the School of Social Work at Arizona State University. She earned her M.S.W. and PhD in Social Welfare at the University of California, Berkeley, and went on to complete a postdoctoral fellowship in interdisciplinary violence research at Johns Hopkins University where she studied under the mentorship of Dr. Jacquelyn Campbell. Her interest areas are intimate partner violence, risk assessment, domestic homicide/femicide, criminal justice-social service collaborations, and evidence-based practice. She has published 27 articles and book chapters, and her work appears in top tier social work and interdisciplinary journals. » Read Jill Messing's fill Curriculum Vitae or her Arizona State University profile. © 2018 Jeanne Geiger Crisis Center. All rights reserved worldwide.